NEW! Bahco P160-SL-60 Orchard & Landscaping Lopper - 600mm Length. Bahco orchard and landscaping lopper - ideal for orchards but also recommended for landscaping. 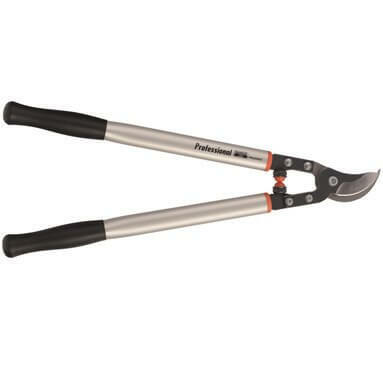 Features lightweight and balanced design, as well as long aluminium handles for overhead, easy reach cutting. Narrow blade combined with thin counter blade combine to provide powerful and smooth cutting experience. Rubber shock absorbers provide comfortable experience when using. Centre bolt locking system to prevent blade from loosening.